Clients want strong project leaders rather than mere project “administrators” who’ll simply manage things and move them around. They especially want a project manager who has the authority to impel the project through her firm; someone who can commit the firm’s resources. Each time a PM, without this level of authority, is asked to do something by the client, there will be a schedule delay caused by the PM having to ask permission, or wait and analyze before committing the firm’s resources. • Sell the project to the client. The PM must have the skill to communicate the firm’s ability clearly, succinctly — and with authority. • Motivate a team of design professionals and nonprofessionals. This includes outside agencies, subcontractors, and consultants who must be roused to perform at their utmost in the client’s interest. • Know when to take charge. The project team is looking to the PM for guidance and direction. However, each team member must be allowed to exercise judgment and creativity within the constraints of the project and the team member’s role. • Negotiate a fair and reasonable contract and favorable remuneration. The PM must understand finance and serve as the last bastion of the firm’s cash flow picture. • Accomplish rather than excuse. Numerous excuses can be made for any project that does not meet budget, schedule, or quality needs. But the successful PM views difficulties as challenges and gains the respect of clients, supervisors, and peers by accomplishing the project’s objectives despite any problems. • Serve the client. The key phrase is “serve,” not servile. The project manager must sometimes tell the client things he/she doesn’t want to hear (for instance, that the cost to construct a favored design concept exceeds the budget). The ability to successfully manage client relationships is one of the project manager’s most important skills. • Meet the schedule. PMs must make it their job to see that everything possible is done to complete the project within the contractual time frame. • Make the planned profit on every job. Every project manager must truly understand that in order to survive (not to mention prosper), design and construction firms must generate a profit. The most effective project managers embody the skills and abilities in this list, and carry an authority in their organization that allows them to make decisions and adhere to commitments. Project manager should be weary of firm leaders that don’t provide this level of authority or who are constantly second-guessing their PMs decisions. And firm leaders should be weary of clients that don’t expect and demand PMs to have decision-making powers. Make sure that EVERYONE in your company knows: a) what branding is and b) what branding is for your firm. An annual primer on branding and how your firm builds your brand can be accomplished during your regularly scheduled company meetings. Honor and respect your company brand. Your company brand means something to you, your clients and the marketplace. Treat it with respect and show people that you are proud of your firm and what it stands for as reinforced with your brand. Everything your firm produces from letters and proposals to advertising and image building has to look and feel like your brand. A continuous thread of image and consistency needs to permeate everything your firm does. Several images, logos and looks only confuse your clients when they come to think of you. Regardless of divisions or departments, your firm should have “one look” that runs through everything you produce. Be prepared to “Re-Brand” yourself. History shows us that many long-standing successful firms re-brand themselves at critical junctures in their history. Sometimes a branding refresher exercise is not enough to accomplish your brand objectives and a major branding initiative is needed to accomplish the strategies, goals and objectives of a diversifying firm. Let your clients brand your firm! Beyond just getting a favorable reference for a job well done, your clients’ word and belief in our firms goes further than what you can say about yourselves. Constantly be on the lookout for clients who will help build your brand with newer clients. Brand for future markets. As a result of good strategic planning and positioning, new markets will constantly emerge for your practices. Using our brand-base foundation, you need to ready your brand for these new directions that will entail new technologies, media and procurement methods. Learn some techniques from your best competitors. Take a look at how competators brand their firms and “borrow” the good ideas and make them your own. Believe, believe, believe in your brand! We all know that is easier to get up in the morning and engage in our practice when you truly believe in what you do and practice. Do everything that you can to make your employees believe in, and be proud of, your brand. Be ready to brand your firm at a moment’s notice. Opportunities come up throughout the year when you need to engage in sponsorships and leadership events to promote your brand. Be ready when these “off-calendar” activities arise and make good business decisions for which level to participate. Always remember the branding basics. The core values and beliefs of a company form the cornerstones of the firm’s branding program. These include total truth, superior execution and responsive delivery. To successfully brand your firm you need to follow these 10 essential tips. Without them, you will not stand out from the pack at the most critical times. And to truly be successful in your business, branding must be an important part of your business develoment plan. To learn more about firm branding and how it can bring in the work you need for a successful year, join PSMJ this spring for our Business Development for A/E/C Firms seminar, coming to 6 locations across North America. Get the tools and confidence you need to succeed in bringing in more work for the firm – register today! The American Institute Architects’ Architecture Billings Index increased for the third month in a row in January. This trend is very similar to that of a year ago, when billings moved up in the fourth quarter of 2010 and remained positive through the first quarter of 2011. Gains were seen in almost all regions, and business has improved across all firm specializations. The ABI registered a score of 50.9 in January. This is the third consecutive month of growth, and a positive sign that the industry will improve in 2012. With the exception of the hard-hit west, which recorded an ABI score of 45.6, billings in all regions showed growth. Firms in the Midwest have recorded the second consecutive month of growth with an ABI score above 53, while the South and Northeast recorded scores of just above 50. Firms specializing in residential, commercial/industrial, and institutional projects all registered gains, while mixed-practice firms (ones without a majority of their billings in any single major construction sector) were still contracting. The residential sector has been relatively strong for the last five months, reflecting emerging strength in multifamily rental housing. The commercial/industrial sector has been consistently positive; showing gains in each of the last five months, and maintaining scores close to 50 since April 2010. The ABI stands at 52.2 for this sector, indicating reasonable growth. The economy created nearly a quarter million jobs in January, according to the Bureau of Labor Statistics. There have been two straight months of job gains above the 200,000 mark, and in January the unemployment rate dropped to a three-year low of 8.3%. Architectural services industry employment numbers remained stable in 2011, with less than a 1% decrease from the previous year (2010 saw an 11% decline from 2009). Payrolls reached a peak in 2008, with 220,500 employed, but this number has fallen to 153,300 with the most recent report. In contrast, the construction employment picture has shown some modest gains over the past year. After rising for five straight months, confidence among U.S. consumers declined in February, as growing optimism about job prospects failed to ease concerns that wages will stagnate. The Thomson Reuters/University of Michigan index of consumer sentiment dropped to a preliminary reading of 72.5 for the month. Furthermore, a 22% increase in the price of gasoline is pinching household finances, and serving as a reminder that the pickup in hiring has yet to boost incomes. By market sector: Residential is down 52.6 from 54.3, Commercial/Industrial is down 52.2 from 54.1, and Institutional is down 51.1 from 51.3. • Much of the work in this area is close to starting in construction or is under construction now. New projects seem to be stalling because of indecision. • Currently work remains slow, but there appears [to be the] start of a turnaround. Warm weather has helped. • Business has improved dramatically, to the point that we have hired three new people in the last month. The biggest increase has been in healthcare/hospital work. • There seems to be some sort of a thaw relating to new projects and inquiries. As for inquiries, December and January showed very positive signs. We hope this is representative of the year to come. 2. Address their condition early. Use one or two paragraphs (or a table) to detail the potential client’s specific problems. Clearly state the critical success factors of the project. This information proves that your organization has a good understanding of your prospect’s problems and concerns. 3. Show the value. Clearly, simply, and directly explain what your solution does for the client. Be specific. For example: “Our approach will trim three weeks from the construction schedule” or “Our solution will qualify you for matching state funds. That means less stress from your budget.” Convince the prospect that you have the competence to deliver what is needed. Use bullet points. 4. Be clear. Superior proposals are written in easy-to-understand language. No corporate claptrap. None! No marketing gibberish. Never! Be direct and easy to understand. 5. Less is better. Decision makers are busy. Help them do their job. Long proposals almost guarantee the prospect will skim through it…and then set it aside. It takes much more time to prepare a short proposal, and it is much more effective. 6. Use the prospect’s name or “you” often. When you reference the prospect frequently, the focus is on their problem and their solution. Remember, they don’t care about you unless you can solve their problem fast, cheap, and hassle-free. 7. Use sub headlines. Headings make it easy for your prospect to find information. Headings also break up the page and make your proposal easier to read. 8. Use testimonials. Testimonials are powerful. Incorporate them into your proposals. You can insert testimony in a text box almost anywhere in the proposal. The more specific the testimony, the more powerful it is. Use real names and real language. 9. Summarize. Many proposal readers cut to the quick…they read the last page or two only. Condense your proposal into a few packed paragraphs. Superior proposals contain a bullet-point macro list of the proposed services and their benefits. 10. End with a call to action. Tell the prospect what to do next. “Let’s get started!” is a favorite. For more tips on marketing and business development, join PSMJ this spring for our Business Development for A/E/C Firms seminar, coming to 6 locations across North America. Get the tools and confidence you need to succeed in bringing in more work for the firm – register today! • There is a shortage of good help. Despite the high unemployment rate, a number of people have abandoned (some by choice, some by job loss) the design professions for academia and training in other industries, in search of work. Many of the unemployed are not the cream of the crop. • A number of firms are merging or being acquired. This is due to both the economy and the huge number of Baby Boomers leaving the workforce. Significant merger and acquisition transactions have or will alter many firms’ cultures. Changes in leadership and ownership offer new opportunities and new challenges. • Software and Information Technology is evolving at a dizzyingly rapid pace. Did your firm put off buying software upgrades or new computer equipment to preserve cash? Your firm may find that it has fallen behind the competition with the latest technology. Lost efficiencies in delivery systems may have softened, and the bottom line will show it. • Employees should be kept in the loop. Communicate with your staff. Let them know where the firm stands and what you are doing to prepare for the year and beyond. Be honest and direct. Your employees need to know where they stand as well. • Stress and fear are at an all-time high. Eliminate stress. The past several years have been hard on everyone, top to bottom. Everyone needs some reassurance but people also need to know the real truth. Be open, and above all, be honest. No “yada yada yada” speeches. • Benefits need to evolve with the time. Look at your benefits package. Pay raises and other benefits have suffered the past couple of years. Evaluate and restore benefits as conditions warrant, even if in small amounts. • Is Your Firm a Good Place to Be. Is your firm the best place to work? If it is not, start making adjustments to the firm’s “culture.” See what other firms are doing to improve morale, culture, or office appearance. With the right strategies in place, you can improve and maintain your staff through rough times, improving times, and the best of times. Want to learn more about how to retain and engage your staff in 2012? 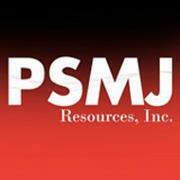 Register for PSMJ’s upcoming A/E/C Industry Human Resources Summit. The HR Summitis a senior level HR event specifically designed to address the increasing needs and demands of senior leaders of HR, as well as other key executives who deal with the critical employee and firm issues on a daily basis. Through panel discussions and best practices presentations, you learn through examining successful real-life case studies, receive A/E/C survey results, while networking and asking your peers for their proven solutions to problems just like yours.